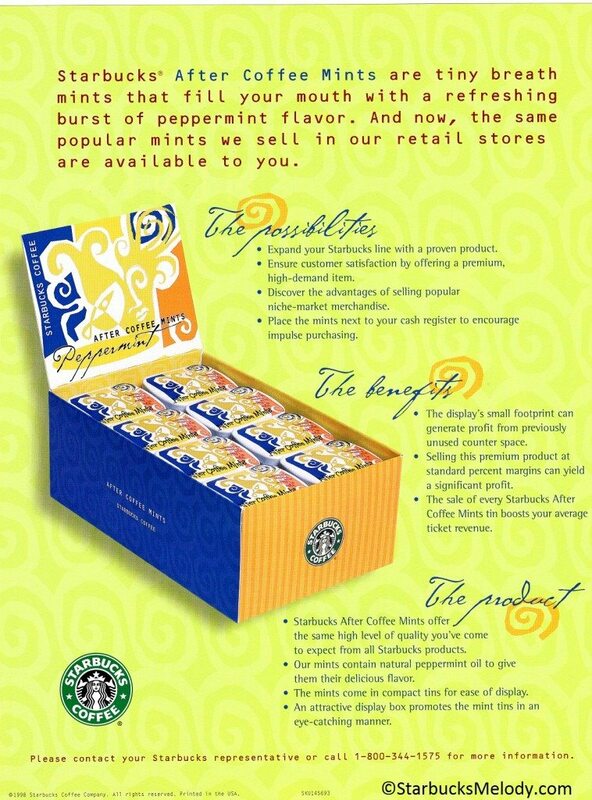 Did you know that Starbucks once sold “After Coffee Mints” in Starbucks stores and other retail locations? It’s a good example of how things come and go quickly from the impulse area of Starbucks. This brochure dates to 1998. I’m sure many customers (and partners) can think of things that have come and gone from inside the Starbucks stores, especially with respect the tiny items that are usually stacked up near the registers. For example, back in 2010 I was writing about Via Ready Brew Chocolates, which I was pretty sure would last for a while. (Via Ready Brew Chocolates have been gone from Starbucks stores for years now). 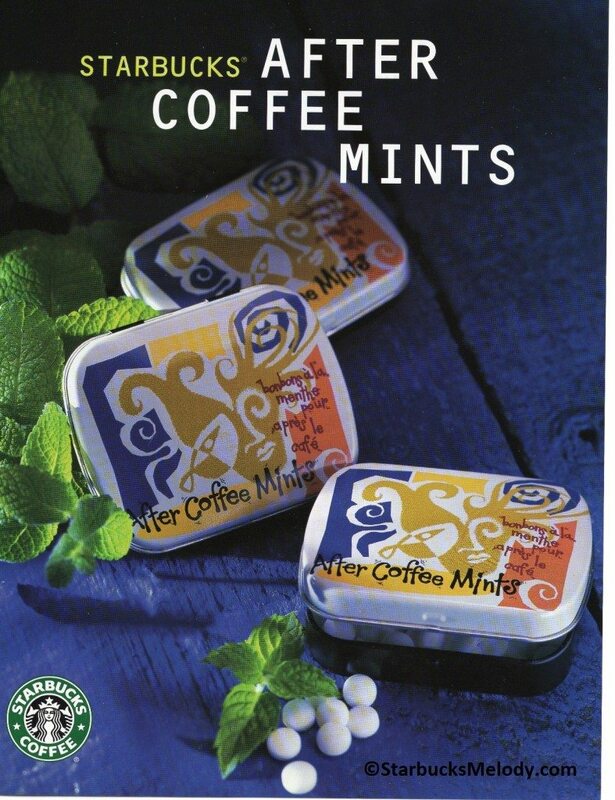 So who here remembers Starbucks “After Coffee Mints”? Starbucks Donates Millions to Mary's Place, a Seattle shelter for homeless families. Really like those, and loved the littled tins very handy when traveling. We still have the mints here in NY at Target licensed stores. We decided to taste test them one day and we all thought they tasted like chemicals. We barely ever sell any so I see why they would be discontinuing them.